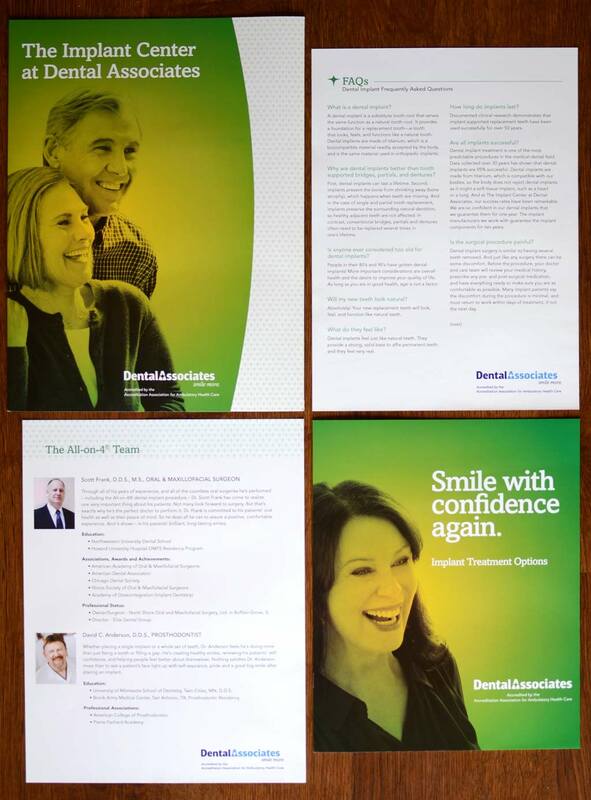 Dental Associates’ focus is simple – to make people smile. 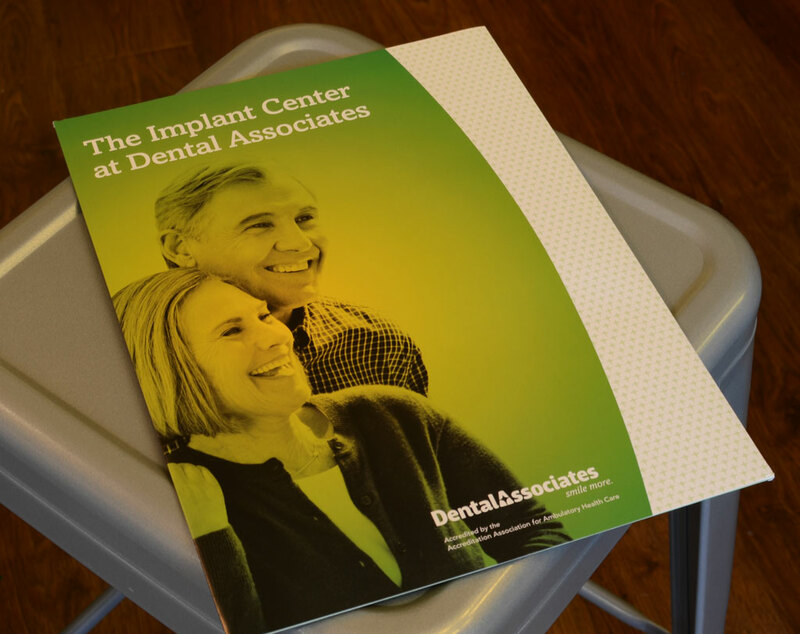 They are family-owned and operate 12 dental clinics in Northeast Wisconsin, offering general, specialty, and pediatric dentistry, orthodontics and dental implants. 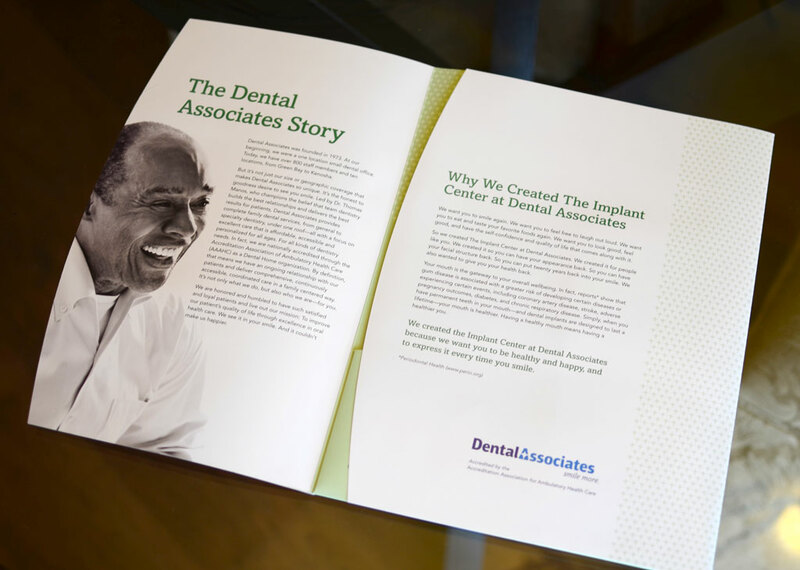 We partnered with Dental Associates to market their Dental Implant Centers with this informational packet provided at their dental implant seminars. 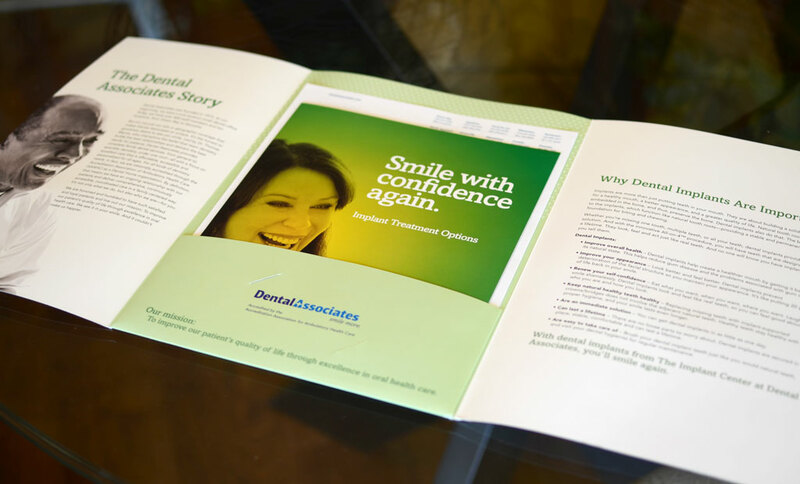 The custom brochure/folder was designed to provide information on the benefits of dental implants and the procedures they offer, and holds an assortment of marketing collateral tailored to each seminar. 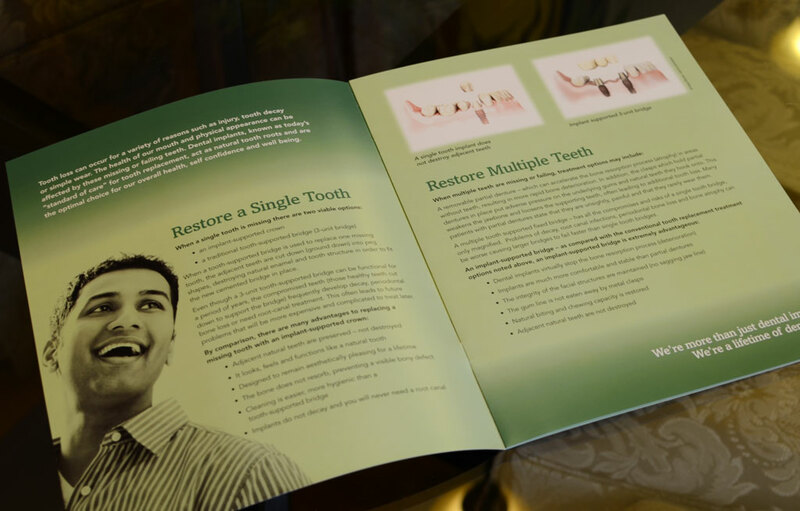 Print Graphic Design Services: Brochure design, folder design.